UChicago Medicine Comer Children's Hospital - Hyde Park is a state-of-the-art 172-bed hospital dedicated to caring for infants, children, teens and young adults. 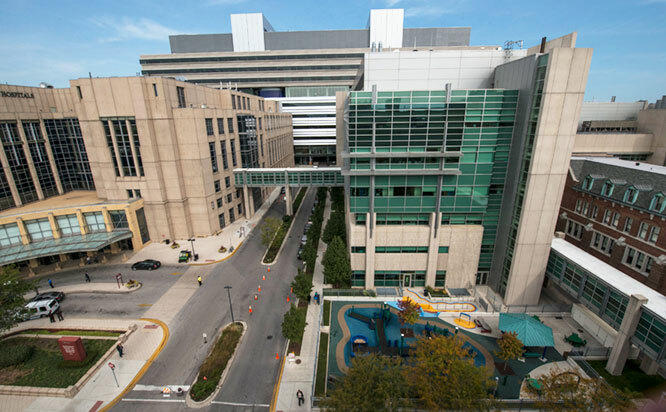 Offering a range of services from general care to groundbreaking treatments for the most complex medical conditions, Comer Children's is home to the only Level 1 pediatric trauma center on Chicago's South Side. The hospital has a 30-bed pediatric intensive care unit, one of the state's busiest neonatal intensive units and an array of general, specialty and sub-specialty pediatric care for children. Patients travel to Comer Children's from across the Midwest and the world for our advanced pediatric care. We encourage patients and visitors to use our valet parking service. It’s convenient and usually less expensive than self-parking. 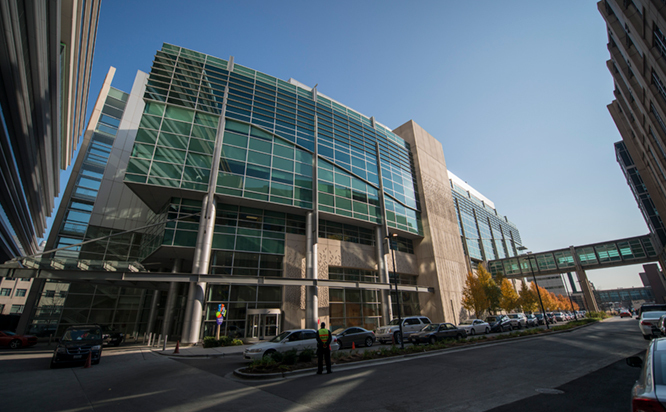 Only women in labor and patients being seen in the Comer Children’s Emergency Department are allowed up to four hours of free parking with validation. Parking tickets can be validated at the Comer Children’s Emergency Department main desk and at the Family Birth Center located on the third floor of Comer Children’s Hospital. Non-validated tickets or those found to be in violation of the rules are subject to a fine, as indicated by signage in the lot. Valet parking is available in front of the University of Chicago Medicine Comer Children's Hospital main entrance and the Duchossois Center for Advanced Medicine (DCAM). Please ask clinic staff about discounted parking rates for patients and visitors. Turn on Maryland Avenue from 59th Street and the entrance will be on your left. This garage is best for patients and visitors going to Bernard A. Mitchell Hospital and Duchossois Center for Advanced Medicine (DCAM). A walking bridge on Level 2 connects Parking A to Mitchell and DCAM. Parking A Office is located on Level 1, enter on Maryland Avenue. Turn on Maryland Avenue from 56th Street and the entrance will be on your right. You can also enter on Cottage Grove Avenue. 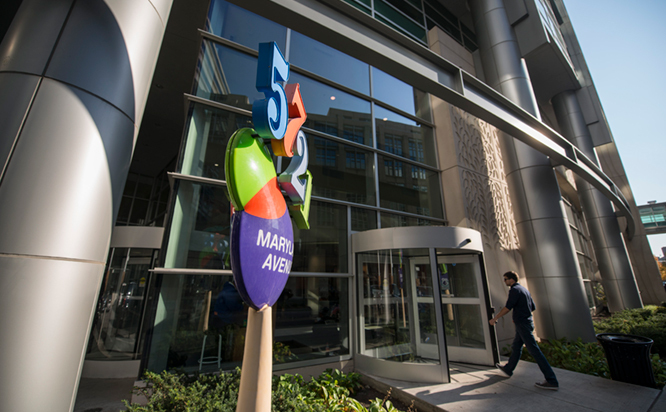 This garage is best for patients and visitors going to the Center for Care and Discovery (CCD). Patient and visitor parking are on the first six levels. Staff permit parking is on the top two levels. A walking bridge on Level 2 connects Parking B and CCD. Parking B Office is located on Level 2 near the walking bridge. Key family resources — such as the Au Bon Pain Café, the Family Learning Center, and a meditation garden — are easily accessible on the first floor. The chapel is accessible from the lobby, yet set back from mainstream traffic for peace and privacy. Related clinical areas, such as the complex immediate care unit and the operating rooms, are located next to each other to streamline patient care. The satellite pharmacy is centrally located, making it easily accessible to staff members from all units. Air is 99.9 percent filtered against airborne contaminates through HEPA filters before being circulated to prevent the spread of infections throughout the hospital. Isolation rooms with special exhaust systems also are on each floor to protect patients from the environment. State-of-the-art patient bedside monitors connect with the UChicago Medicine's computer network. This gives physicians, nurses, and other patient care staff the ability to view real-time data from terminals anywhere on the UChicago Medicine campus. The cardiac catheterization lab is wired for video conferencing so physicians from all over the world can view live procedures and interact with Comer Children's physicians in real-time. Patients will not hear a loud overhead paging system. A wireless call system allows patients to press a button and page their nurses silently. Neonatal intensive care unit with 47 Level-III beds, minor procedures room, two conference rooms, and the Family Care Center that includes a laundry room and vending machine area. Surgery area with five operating room suites, complex immediate care unit with 10 beds, cardiac catheterization lab, pre-operative and recovery areas, satellite pharmacy, family waiting area, play area and conference room. Pediatric intensive care unit with 20 beds, transitional care unit with 18 beds, palliative care suite, family lounge, main pharmacy, play area and conference room. Thirty-one licensed beds for neurology, neurosurgery, epilepsy, solid organ transplant, and general medical/surgical patients; physical therapy room, epilepsy monitoring room, minor procedures room, play area and conference room. Twenty-nine licensed beds for hematology, oncology, stem cell transplant/immunosuppressed patients and other medical or surgical patients; cardiac telemetry unit, heart station/echocardiograms, minor procedures room, palliative care suite, play area, family kitchen and conference room.